3 Bed Terraced House Well maintained three bedroom house located within this popular private estate off the N81. The property is walking distance from the Square, the Hospital, local schools and a wide range of amenities both social and essential. REFERENCES REQUIRED. NO PETS. Accommodation; Porch to hall. Lounge. Kitchen dining room. Three bedrooms. Bathroom. 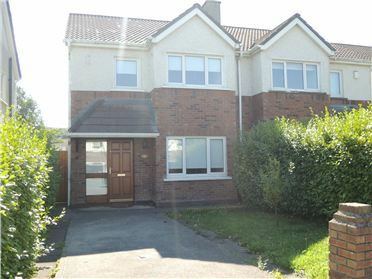 3 Bed Semi-Detached Well maintained, spacious three bedroom semi-detached property located within a popular estate walking distance from the Citywest shopping centre and Luas plus a wide variety of amenities both social and essential. REFERENCES REQUIRED. NO PETS. Accommodation: Hall Guest wc Lounge Dining room Kitchen / breakfast room Utility room Two double bedrooms Master bedroom en-suite One single bedroom - Bathroom - Gas central heating - Painted Cream throughout - Quality wood flooring.